Litigator John Libby co-chairs the firm’s corporate investigations and white collar defense practice group. He represents businesses, as well as their officers and directors, during criminal investigations, prosecutions and complex civil litigation. 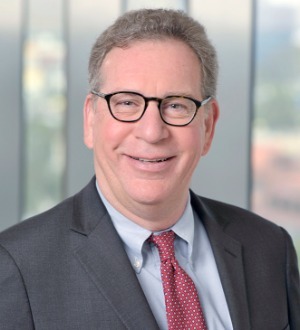 Formerly an assistant U.S. attorney, he guides clients through the trial and appellate phases of complex disputes with both the government and with private parties for clients in the healthcare, financial services and high-technology industries. Working from the firm’s L.A. and D.C. offices, John defends companies—and individuals—targeted in government investigations. His white collar defense practice encompasses all phases of investigation: He responds to search warrants, as well as grand jury and administrative subpoenas and civil investigative demands; represents clients before grand juries; and negotiates pre- and post-indictment pleas. In addition, he handles all elements of post-indictment proceedings, including motions, trials and sentencing. A significant part of John's practice involves conducting internal corporate investigations for corporations in response to government inquiries or internal allegations of misconduct, which must be conducted carefully and professionally in light of recent court rulings and U.S. DOJ guidance. Many investigations are initiated after government inquiries or internal allegations of misconduct. Where appropriate, he also guides clients through the process of making voluntary disclosures of wrongdoing to government authorities. Working in concert with other Manatt, Phelps & Phillips LLP lawyers, John often assists in structuring transactions to comply with applicable laws. He also creates compliance programs and conducts compliance training.